A student from the University of Wales Institute, Chris Cherry, is working on developing a new way of creating and keeping anti-venom stable in the hot climate that the Carpet Viper inhabits. This could potentially save 1000 lives a year and PhD student Chris is working closely alongside pharmaceutical company MicroPharm in Wales and the Nigerian government to produce this stable form of Anti-venom. The West African Carpet Viper of the genus Echis are an extremely venomous viper from dry regions of Africa and also parts of the middle east. They are a small viper that grows no bigger than 90cm. The venom of the Carpet Viper is extremely virulent and the Carpet Python is responsible for the most human fatalities of any venomous snake. 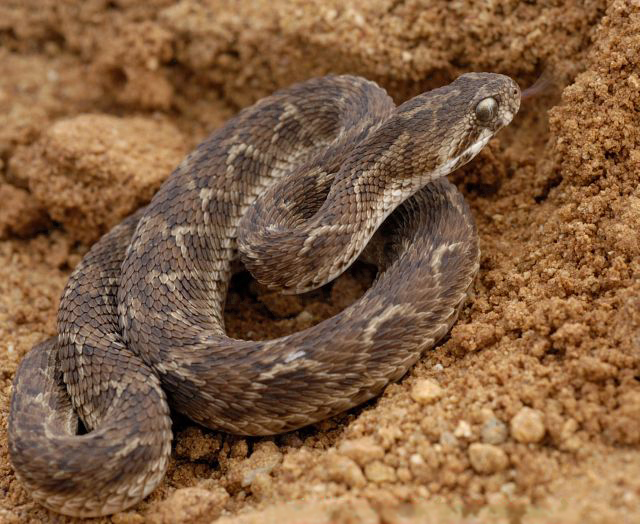 A bite from the Carpet Viper causes quick internal bleeding and is usually fatal. Prior to starting his PhD, Chris traveled to Nigeria to witness first hand the areas and people affected by the African Carpet Viper and is said to be thrilled that his research will directly affect and improve others lives. Venom in the Garden of Eatin’? When it comes to gardening in Southern California there are a lot of pests that gardeners are concerned with. These pests & insects consume herbs, fruits, and vegetables which the hardworking gardener is hoping to harvest for their own table. Most of these are of no real threat to the human species & can be easily dispatched. They can also be eliminated through the use of pesticides and insecticides commonly sold at most home improvement or hardware stores. Those of the environmental or eco-friendly persuasion can also discover a number of options such as bran flakes for snails & slugs. Some companies sell farm raised hunting squads such as the inaccurately named Ladybug Hippodamia sp. which is actually named a Lady Beetle can be released to exterminate aphids. Nature provides us with other pest and insect predators such as arachnids. These vary in form like the scorpions and spiders which lie in wait to deal death blows to unsuspecting creatures which haplessly cross their path or fall into their web of doom. So begins our story of spiders, venom, and gardening.